I am delighted to make this politically independent contribution to debate the left’s poverty and social security agenda in the 2020s. I work without allegiance to any political party, being committed by my Christian faith to working with and for the UK’s poorest men, women and children with other people of faith or no faith who share the same concerns. Following the financial crisis in 2008, successive governments, far from ensuring that the health and wellbeing of all UK citizens were a national priority, required hard-working civil servants to implement legislation that would inevitably create hunger, damage the health and shorten the lives of the poorest. As such, we currently have a welfare safety net without any guiding moral principles. The 2010 and 2015 governments took legal aid away from benefit claimants, while creating and imposing disproportionate punishments in the form of benefit sanctions by jobcentre officials that no magistrate observing the Wednesbury principles of reasonableness would ever impose on a thief. 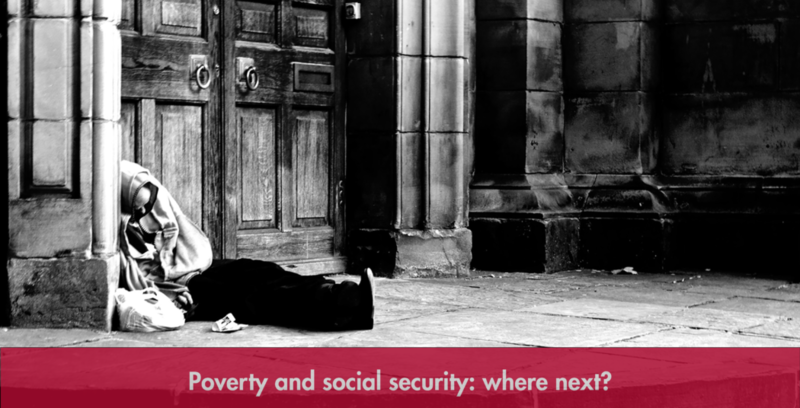 The current system is flawed and failing to help the poorest members of society – proof of this is everywhere. I met Peter White* shortly after he had finished a three-month benefit sanction. He has a history of depression and was punished for missing a meeting at the jobcentre. His doctor had immediately referred him to a therapist for 12 sessions. Rent and council tax arrears had accumulated while his job seekers allowance of £73.10 a week was stopped. It had got to the point where he had been threatened with eviction over the rent, and prison over the council tax. Then the bailiff called for a TV licence fine he could not pay, demanding an immediate £435. I took Peter’s case back to the magistrates, who remitted the fine and dismissed the bailiffs without their fees. Peter was then forced by the jobcentre into a zero-hours contract who paid £0.01 universal credit (UC) into his bank to last a month. Peter’s story is a vignette of what life is like for many people who currently rely on our social security system. A decent social security system, built on moral principles and allowing people to flourish and not just survive, would transform lives. There are moral principles honoured for millennia which have been adopted by both religious and secular leaders. Martin Luther King believed “true peace is not merely the absence of tension: it is the presence of justice.” “Peace is not merely the absence of war but the presence of justice, of law, of order — in short, of government,” said Albert Einstein. These recommendations can be paid for by capturing for the common good a small percentage of the large increases in the value of British land. That ought to lead to the abolition of council tax and business rates, and even to a reduction of income tax. Land value is currently captured only for private benefit, much of it by national and international speculators. As the late professor, Peter Ambrose, wrote in his 2005 Z2K memorandum to the prime minister on unaffordable housing: “We hold that land exists for the common good. It provides the basic needs of shelter, food and clothing of which everyone should have a just minimum share. Governments have allowed the market to exploit the shortage of land by allowing unregulated lending to lift the price of housing above the needs of the poor in the UK.” National policy for social security must be rebuilt on moral foundations. Peace is not only the absence of conflict, it is the presence of health and wellbeing for all.